General Atomics Electromagnetic Systems (GA-EMS) has been awarded a contract from the Defense Advanced Research Projects Agency (DARPA) to develop a next generation Portable Diagnostic Platform for personnel to quickly self-perform testing for an array of infectious diseases in the field. Over the 12-month contract period, GA-EMS will develop a verification prototype device and related assay cards for point-of-use molecular diagnostics testing. 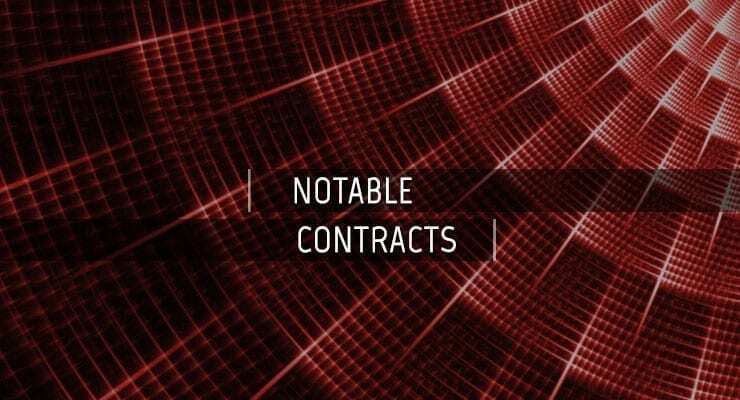 The initial contract is valued at $1,894,258. GA-EMS will develop a next generation Portable Diagnostic Platform with unique sensor technology and customizable, single-use disposable cartridges capable of lab-quality molecular diagnostics. A small fluid sample is inserted into a cartridge containing a molecular sensor chip and various reagents that will react when they come into contact with certain pathogens. Testing occurs when the cartridge is inserted into the Portable Diagnostic Platform device, which interacts with the cartridge to prepare and analyze the sample. An easy to read positive or negative test result is then displayed in less than one hour. General Atomics Electromagnetic Systems Group announced on Jan 25, 2018 the acquisition of Toronto-based Xagenic Inc., a molecular diagnostic systems company. The acquisition supported the organization’s growth initiatives in microelectronics, advanced sensors and signal processing technologies for defense applications. Xagenic developed a diagnostic system which uses a unique, customizable cartridge containing a proprietary sensor chip to enable rapid, lab-quality molecular diagnostics for disease detection at the point of service. The diagnostic technology is completely automated within a single-use disposable cartridge and involves nanostructured microelectrode sensors allowing direct electrochemical analysis of the prepared sample on the cartridge.